We are all walking towards death. 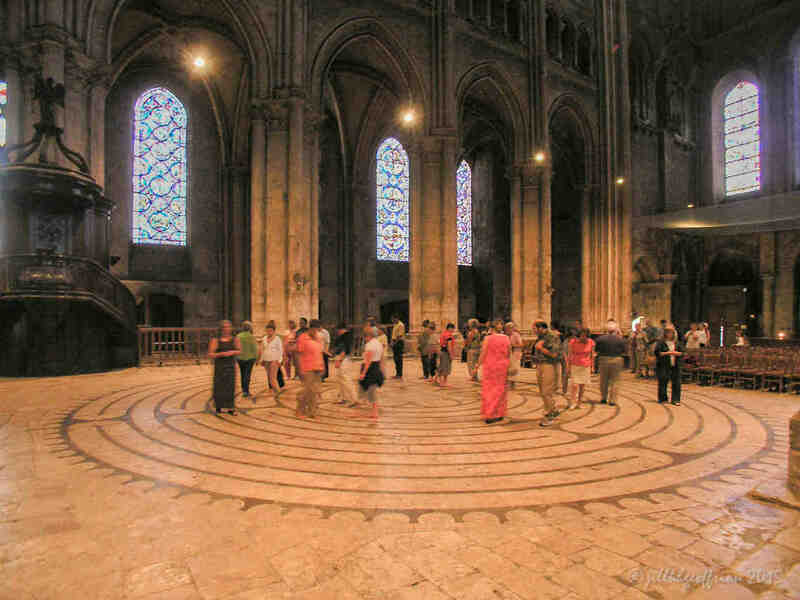 As I move on the labyrinth in Chartres, this tender image of Mary dying while surrounded by the grief-struck disciples reminds me that as natural as loss is, it hurts. God, may I never be afraid to express the feelings that I am experiencing. Whether happy or sad, may my emotions be a bridge to You. What are you feeling? Try to amplify or exaggerate that emotion. What prayers are emerging in your heart, mind, body, and imagination? Pray them now. 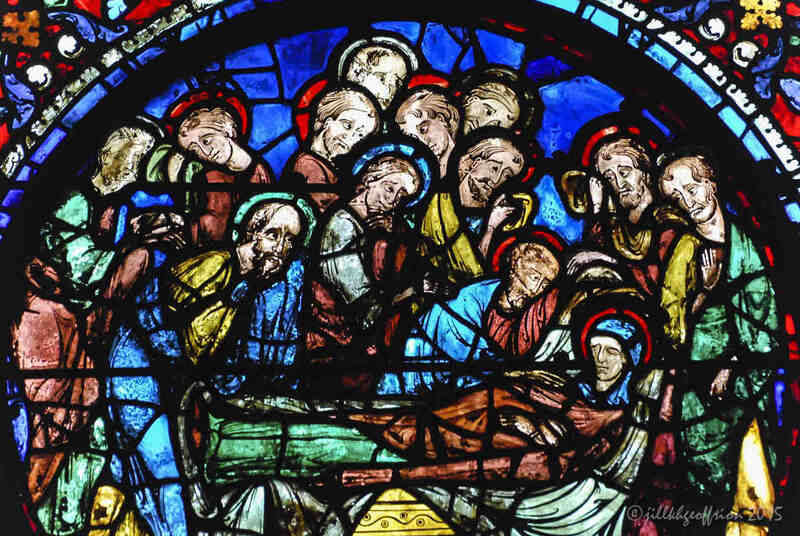 Mary on her death-bed surrounded by the twelve disciples. On each side of the scene are two women crying and wiping their tears. This thirteenth century window (1205-1215) is found in the south aisle. It is the fourth window from the west wall, the window farthest to the left in the photograph below.